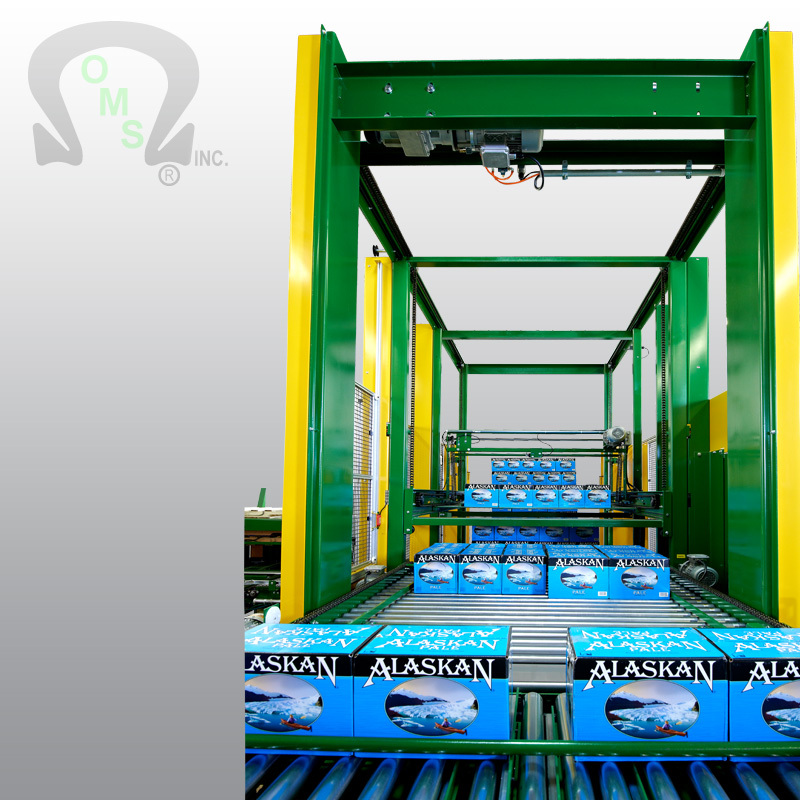 Take a closer look at your palletizing operation. 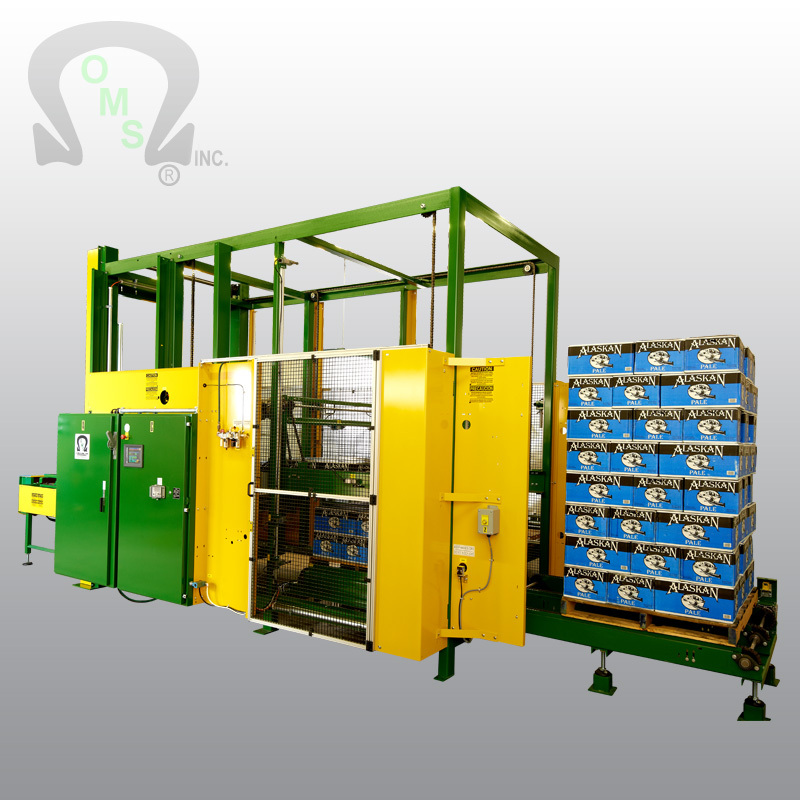 You will undoubtedly find a few profit killers such as downtime due to manpower or forklift or procedure. Can your profit margin afford to put up with this? With the right equipment you can eliminate these problems! Our equipment is designed to reduce operator fatigue, increase speed, increase productivity and provide more consistency. 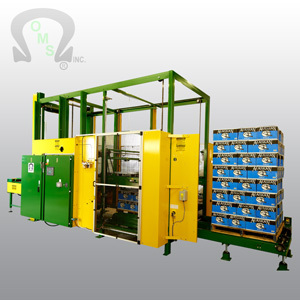 An O.M.S. palletizer system can increase your profits. Floor level operation requires no stairs or scaffold. Modular concept provides for a variety of floor plans and future layout configurations. Basic models have speed ratings up to 30 cases per minute with features available on initial order or future add-ons for increased speed. 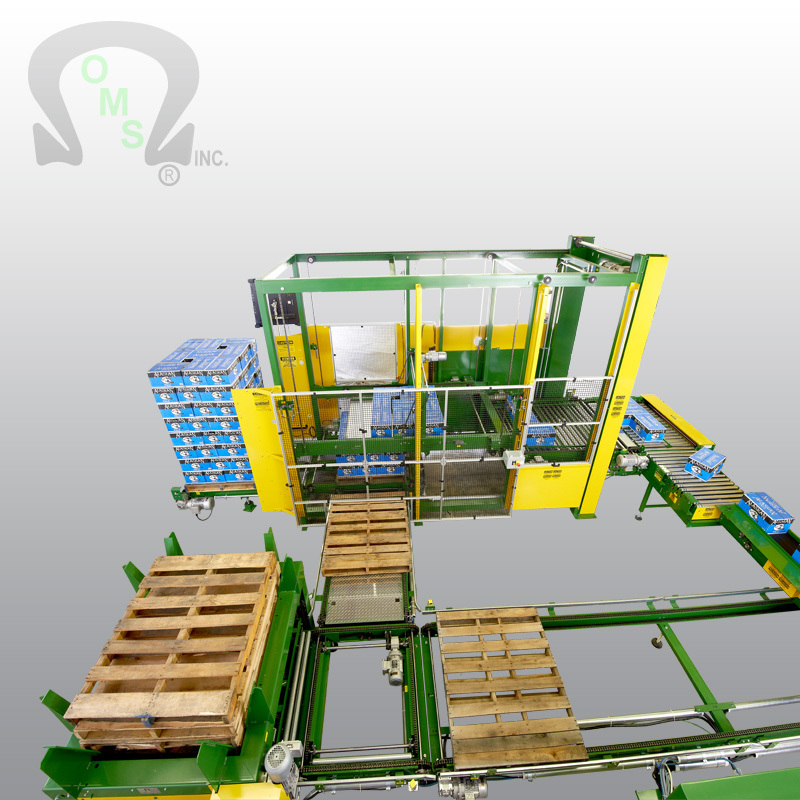 Pallet handling adaptability: 24″ X 24″ up to 44″ X 56″ and intermediate sizes. 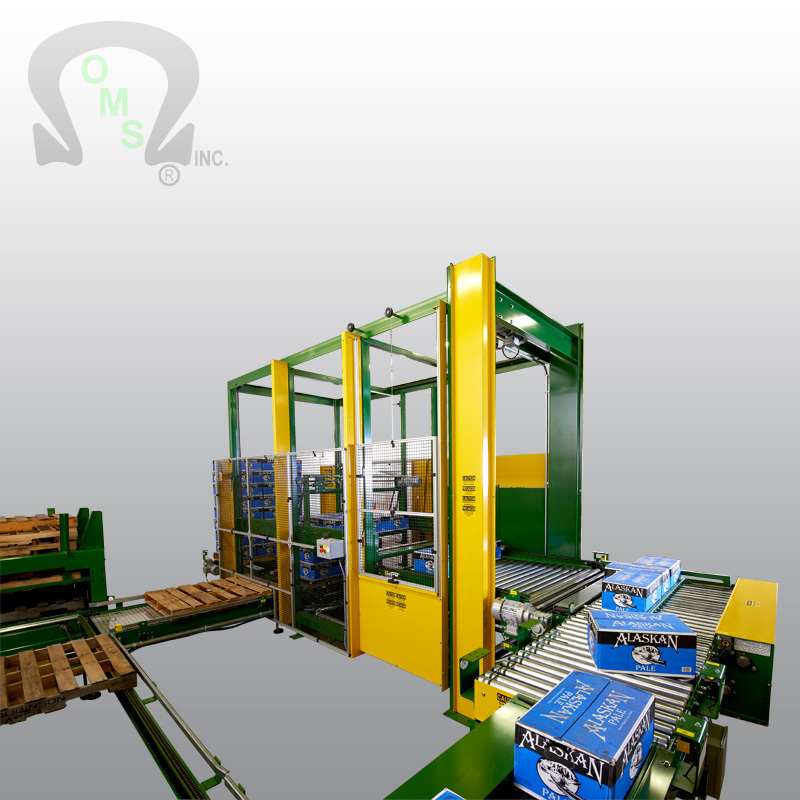 Infeed elevation floor plan design to operate in concert with the case packer or case sealer or other peripheral equipment.